Never over- or under-cook your food again with the easy to use iGrill. 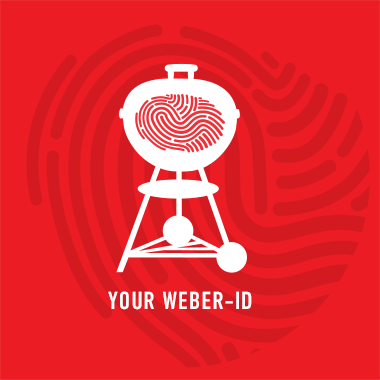 Simply download the app, tell the iGrill what you're cooking and how you'd like it cooked. The iGrill does the rest, tracking the progress of your food in real time and will notify you when it's done - meaning you can spend more time with your guests whilst cooking to perfection. WHICH IGRILL IS RIGHT FOR YOU? The intuitive iGrill app was designed by barbecuers, for barbecuers, to set you up for success every time. With features such as preset or customisable food doneness settings, temperature monitoring and wireless alerts, all that’s left for you to do is to sit back, relax and let the iGrill worry about what’s cooking under the lid. 1. Score the fat of the pork belly with a sharp knife in a diamond pattern, keeping the cuts quite close together. 2. Place the pork belly, skin side down, on a cutting board and distribute the pork rub onto the meat, leaving the skin free from the rub. 3. Turn the pork belly and rub the skin with a generous amount of salt, this will help form a good crackling. 1. Prepare the barbecue for indirect heat, approx. 250°C. If using a 57cm charcoal barbecue, you will need ½-chimney starter of lit Weber briquettes. 2. Place the pork roast over indirect heat and let it roast for approx. 30 minutes. 3. Turn down the temperature to approx. 180°C and continue to roast the meat for another 30 minutes, or until the core temperature reaches 68- 70°C. 4. Take the pork belly off the barbecue and let it rest for 10 minutes before cutting it. 1. In the kitchen, blend the beef mince gently with the suet and a little salt and pepper until well combined. 2. Divide the minced beef into 8 balls weighing around 120g each. Next, using the ¼ lb setting on the Weber Burger Press, shape your patties. 1. Fill a Weber chimney starter to the top with Lumpwood charcoal and light. 2. Once flames are licking through the top of the chimney starter, pour the fuel out covering just one-half of the coal grate. This is to create a safety zone of indirect heat for your burgers. Replace the cooking grate, close the lid and allow your kettle barbecue to preheat. 3. If you’re using a gas barbecue, light the left hand two burners, leaving the right hand burner off to create the safety zone. 4. After the burgers have chilled, season them generously with salt and cracked black pepper. 5. The burgers are now ready to grill. Place them directly onto the cooking grates over the lit fuel, replace the lid and allow them to grill for 2 minutes. 6. Before turning, check to see if the burgers will self-release from the cooking grate. If they do, then flip. If they are stuck they may need a little more time until they release. Allow the burgers to cook for a further 2 minutes before sliding them across to indirect heat. 7. At this point add a slice of cheese to each burger before replacing the lid. This will enable the burgers to fully cook through, eliminating any risk of burning. 8. Use an instant read thermometer to ensure a core temperature of 70°C has been reached. Remove and rest for a couple minutes while you prepare the bun and garnish. 9. Lightly toast the underside of each half of the bun, remove then build your burger. Serve with chopped iceberg lettuce, sweet onions, pickled gherkin and ketchup. 1. In a saucepan over a high heat, combine the juice, sugar and salt, and bring to the boil, stirring to dissolve the sugar and salt. Cook for 1 minute, remove from the heat and skim off the foam. Leave to cool to room temperature. 2. In a 20-litre food-grade plastic bucket or other large container, combine the water, oranges, ginger, cloves, bay leaves and garlic. Add the apple juice mixture and stir well. Remove the neck and giblets from the cavity of the turkey and reserve for another use, then remove and discard any fat from the cavity. Submerge the turkey in the brine, topping it with a heavy weight if needed to keep it completely immersed. Refrigerate for 24 hours. 1. Soak 4 large handfuls hickory chips in water for at least 30 minutes. Prepare the barbecue for indirect cooking over medium–low heat (180°C). 2. Set a roasting rack in a large, heavy-gauge disposable roasting tray. Remove the turkey from the brine and discard the brine. Pat the turkey dry with kitchen paper. Tie the legs together with kitchen string. Brush the turkey all over with oil and place it on the roasting rack. 3. Brush the cooking grates clean. Drain 2 handfuls of the wood chips, add to the charcoal or the smoker box of a gas barbecue, and close the lid. When smoke appears, place the tray with the turkey on the cooking grates and cook over roasting/indirect medium–low heat, with the lid closed. When the wings are golden brown, after about 40 minutes, wrap them with foil to prevent them from burning. Brush the rest of the turkey with more oil. If using a charcoal barbecue, replenish the charcoal as needed to maintain a steady temperature of 180°C. When the turkey breasts are golden brown, after about 1 hour, cover the turkey with foil to prevent the skin from overbrowning. Drain the remaining wood chips, add to the charcoal or the smoker box and close the lid. 4. Cook the turkey for 12–14 minutes per 500 g until the internal temperature of the thickest part of the thighs away from bone is about 74°C. 5. Transfer the turkey to a carving board, cover loosely with foil and leave to rest for 20 minutes before carving. Use the dripping to make gravy. 2. After the curing time, remove the brisket from the bag and wash thoroughly under cold running water. After rinsing the excess cure from the sink, put the brisket into the sink and fill with water to cover. With the brisket submerged, leave the cold tap running slowly and allow it to flow down the overflow. If you can’t do this simply drain and refill the sink every 30 minutes. The brisket needs to soak for 1-2 hours. Remove from the water and pat dry. 1. To set up your Smokey Mountain Cooker put a layer of Weber Briquettes into the cooking ring, followed by the 12 Cherry Wood Chunks, another layer of Weber Briquettes, followed by the 12 Hickory Wood Chunks, followed by another layer of Weber Briquettes. When you are ready to start cooking fill a Weber Chimney Starter a third full with Weber Briquettes and light. When they are lit pour the chimney onto the top of the Briquette/Chuck layers and arrange in the centre. The lit Briquettes will slowly burn down through the layers of unlit Briquettes and Wood Chunks, extend the cooking time of the Smokey Mountain Cooker, and also help to regulate the temperature. 2. Place the middle section of the Smokey Mountain Cooker onto the base and fill the water pan ¾’s of the way with cold water. Place the brisket onto either cooking grate, fat side up, and place the lid on. 3. Start with all 3 bottom vents and the top vent fully open. As the temperature rises and the unlit fuel begins to burn, you can regulate the airflow through the Cooker by partially closing the bottom vents. *Do not fully close any of the bottom vents as this will starve the fire of oxygen, and do not alter the top vent as this should always be fully open. 4. Check the water level of the pan every 2-3 hours and keep it topped up to the ¾ level. If the temperature of the Cooker is correct, top up with warm water, but if the Cooker is running hotter than you would like top up with cold water. Ideal cooking temperature is 90°C-110°C. 5. After 6 hours, wrap your brisket in tin foil and return to the cooker and cook for a further 6 hours. Probe the brisket with a clean temperature probe and remove from the cooker when the internal temperature has reached 82°C. 6. Allow the brisket to rest for 20-30 minutes before slicing. 1. In a sauté pan, combine the sugar, butter and honey, and warm over a medium heat on the stove until melted. Remove from the heat and whisk in the mustard, soy sauce, oil and ginger. Leave to cool to room temperature. 1. Prepare the barbecue for indirect cooking over medium heat (180–230°C). 2. Place the salmon, skin-side down, on a large sheet of foil. Trim the foil to leave a border of 5 mm–1 cm around the edge of the salmon. Brush the top of the salmon with the brown sugar mixture. 3. Brush the cooking grates clean. Place the salmon on the foil over roasting/indirect medium heat for 25–30 minutes, close the lid, and cook until the edges begin to brown and the inside is opaque. Transfer the salmon with the foil to a chopping board. 4. Cut crossways into six to eight pieces but do not cut through the skin. Slip a spatula between the skin and the flesh, transfer the pieces to individual plates and serve right away.